Vampires and werewolves and monsters, oh my! Jill will show you how to make all of them in the form of cute Halloween cupcake cones. I think the bride of Frankenstein is my favorite, but that might just be because of my affinity for chocolate frosting. 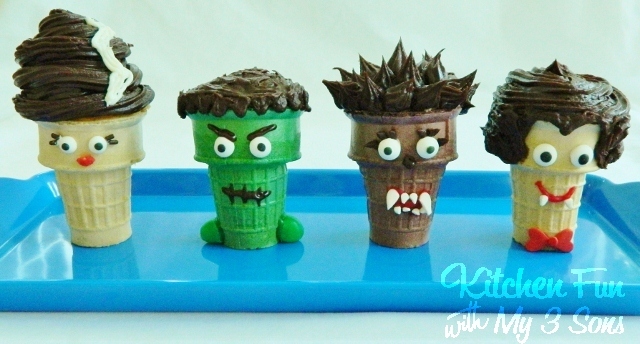 Check out how to make Halloween cupcake cones over at Kitchen Fun with My 3 Sons.